Feeling that nostalgia vibe, here’s your ghoulish grooves for the last preparatory weekend before the main event. Dead Man’s Party – Oingo Boingo – Anthem for all the decently dressed deceased, and likewise stylish spectres. Psycho Killer – Talking Heads – New wave weirdsville art school cool. Qu’ est-ce que c’est? Weird Science – Oingo Boingo – Elfman get’s two spins on any respectable shindig of the spooktacular kind. 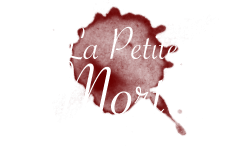 Bonus for being the titles to La Petite Mort’s favorite childhood movie. A Nightmare on My Street – DJ Jazzy Jeff and the Fresh Prince – The illadelph gets a slice (harhar) of Elm Street. Everybody wins. Thriller – Michael Jackson – If you leave this off your Halloween playlist the terrorists win, or something. Ghostbusters – Ray Parker Jr – See above comment. The Boogie Monster – Gnarles Barkley – Rules are made for breaking, and monsters are made for boogeying. Killing Moon – Echo and the Bunnymen – Classic creepy story set to 80s soundscape. Bonus fact: Incroyable much prefers the La Petite Mort version to the Bunnymen. Get weird everybody, and we’ll have more for you next week.